Competitive games can be an absolute nightmare to balance due to a number of different factors in play. In the case of Super Smash Bros. Ultimate, you would think it would be near impossible to keep each fight fair when there are now 75 playable characters. Apparently, though, each of the fighters in the game are pretty evenly matched. 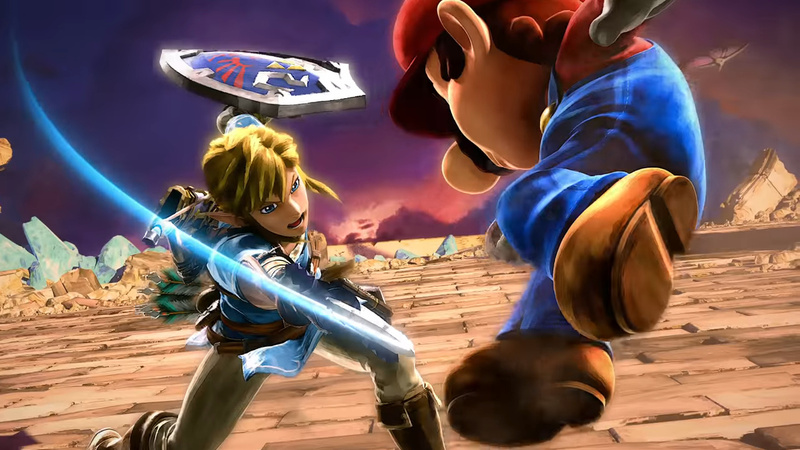 In his latest column in Japanese gaming magazine Famitsu, Ultimate's Director Masahiro Sakurai shared some interesting data about the game's win and loss rates to help prove this. VIP matches are a reference in North America to Elite Smash – a ranked mode for top tier players with a high enough Global Smash Power. When combining all of the above data, all of the fighters fall “within 40% and 54% win rates” and fighters with “a win rate of 45% or higher” account for 90 percent of the total. In terms of popular characters, Cloud and Ganondorf are the community favourites at the moment. Cloud is most commonly used in standard play and Ganondorf is the most used in VIP matches. Despite this, "Ganondorf's win rate is only 47.9%" which keeps him at the lower end of the battle rankings. Going off battle data alone, Sakurai believes there’s seemingly no reason to tune the balance of the game. In saying this, he realises if it isn't adjusted, some players are likely to feel "stressed out" by the lack of change. How have you found the fighter balance in Super Smash Bros. Ultimate so far? Tell us below. The game really is balanced, I mean you aren't going to have 100% balance no matter what you do in a fighting game like this, especially when there are as many characters as there are. This is another slightly silly headline. “Isn’t a concern” implies he doesn't care about balancing as a general concept of doesn’t intend to do it. The fact is, stats show that the game is relatively well balanced as it is, which is the real headline. I’m sure the game will no doubt receive tweaks anyway because what fighting game doesn’t? you know what's a bigger concern? the fact the game has 103 stages, and the community is hellbent on playing matches on only 7 of them. @Charlie_Girl Say it louder for the people in the back! the only 2 characters i see that needs a nerf is cloud and jigglypuff with the one hit attacks. @Charlie_Girl I mean, that’s fine. I usually order the same thing at my favourite restaurant, and I don’t begrudge people for picking their favourites. I have agreed with Sakurai so far, and I am glad that there is data to back up these opinions. @Charlie_Girl 75M is awful. Rest are fine. @Charlie_Girl I agree that there could (and should) be more variety in stages used in serious matches, but there's a reason why only certain stages are considered "legal". Like any fighting game, competitive Smash matches are meant to be challenges based on skill and skill alone, and it's hard to do that when there's alien dinosaurs turning the stage upside-down, wind blowing characters off the stage, race karts randomly smashing into fighters, trains colliding with the sage, or the stage literally crumbling under the fighters' feet. 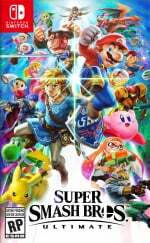 Smash is wonderful because it is simultaneously a fun party game and a deep competitive fighter, so let's let the community play the game in the way that best suits their needs. So this is just basing on online? I don't think you can see the bigger picture on that mode alone. Equality don't exist in Smash. Some fighters are better than the others. I've made fun of the tournament scene for Smash before, but I understand why they ban the stages that they ban. I don't expect Mario Bros. to become a legal stage (and really it shouldn't be a legal stage). I do wish that the community would be more open to stages that have hazards, but I understand why they ban most stages with hazards. @Charlie_Girl actually those stages you mentioned as "mistakes" are great and should mostly be used in 8 players smash. Pretty fun and chaotic. Sometimes you find yourself in 4 1v1s across the maps and start bumping into each other which has a very different feeling than usual. My opinion tho. @Charlie_Girl Hyrule Temple is a treasure and should never be thought of as anything less. Given the abundance of fighters, this seems pretty much balanced already! @PrincessBowsette Leave Cloud alone, please. Not saying Smash Ultimate isn't well balanced, but I wouldn't base such conclusions on online play. There's a difference between Elite Smash and actual competitive Smash. Balancing wise, these statistics are really impressive. A fighting game with such an insane amount of characters is just as insane to balance, so I never expected it to work so well right from the start. Nice job! @Charlie_Girl How is that a concern to anyone, except those who get upset when someone else plays a game differently? I have to say. Since Christmas until a recent update the match making and speed of waiting time between battle have dramatically improved. I'm very impressed with the online part of this game. I also feel like the player balance is ok. All in all a very polished game. Although I dread ROBO fights... but that's just me. Im sorry but Isabelle is broken with that fishing rod. Look up any kind of combo video online and you'll see most Isabelle mains just spamming it offstage because there is almost nothing anyone can do to stop it. Once that's been nerfed - I'll consider the game well balanced. Uhm... someone tell Sakurai that both a 40% and a 60% win rate is VERY unbalanced in competitive videogames. The game was very well balanced at launch (especially compared to the previous Smash releases) and I'm sure that good Japanese players such as Ranai or 9B helping to test it was a major factor there. It can always use some tweaking, though. Just looking at online stats gives Sakurai a very shallow view of game balance. You have to watch actually good people play to see what needs fixing and what doesn't. We did just have a balance patch a few days ago, so I'm not concerned about the team disregarding balance issues. They are definitely paying closer attention this time around, and it's also a nice touch they're actually releasing actual patch notes now, with descriptions of what exactly was changed. TL;DR: Ultimate's future looks great. I dont have issues with OP characters? Sometimes i win and other times i lose against the same characters. I just enjoy every bit of this game and have a laugh with friends and family. @MasterGraveheart I have a higher GSP with Dark Samus than any of my other fighters. She is beastly. How does NL get 54% from that? The game is very balanced...I don't feel any character needs a nerf...However Kirby, Bowser Jr and Little mac need some major Buffs. @Rohanrocks88 totally agree man is allways the same, not matter the game. @TheFanatic im not the only one complaining about cloud being alittle oped man. @PrincessBowsette Firstly, I was very clearly joking. There is no need to get all defensive. Secondly, as this article proves, no character is busted. You may have personally had a bad experience with a Cloud, but that doesn’t mean he’s overpowered. I love how this guy is so anti competitive gaming. I have seen far too many fighting games ruined by focusing on competitive gamer demands this gen so it is refreshing to see someone who just cares about having fun. @Kriven That's not the point. People shouldn't use medical or mental conditions as insults at all. Some characters definitely have an edge over the rest, but overall the balance isn't too bad. My main issue with the game right now is corner camping in FFA. I hate seeing a Samus/Dark Samus/K Rool/Dedede/Young Link/Robin (oh god Robin) sitting in the corner and quickly running to the other corner if you get close in order to save lives so they get enough ahead it's near impossible to win once it gets down to 1v1. At first I thought they were just trolls or jokers who would SD eventually, but 95% of them go FULL tryhard as soon as they have enough of a lead. I always try to punish these people but no one else online seems to want to: "make the corner camper honest by challenging them? Nah too much work. I'll just wail on this down-b Pikachu in the middle of the stage. Wot?!!! Robin just came out of the corner to up smash Pika and steal my killl!!! !...I'll wait until Pika respawns to attack anyone, Robin is too much work." @the8thark follow the source linked. Kotaku states the same numbers. The 40%-54% range is when you look at the totals combining both regular and elite battles. NL just chose to reword it instead of taking a direct quote for that part. NL didn’t make up any numbers there, they’re all in the article by Kotaku. I'd have some semblance of respect for Sakurai if he took take constructive criticism gracefully. Instead, I'll just point out that winrates across all players are in no way indicative of how well a character is balanced. if you character doesnt have one of these, you wont be able to compete with the obvious top characters. I play elite smash majority of the time with Game and Watch, and here's the list of characters that I run into the most. Chrom, Cloud, Roy, Shulk, Jiggly Puff, Ganadorf, Mario, Zelda, Palutena, Ness, Lucas, Ike, Ridley, Link, Young Link, Bowser, Yoshi, Wario, Isabelle, Dedede, Snake, Samus, Dark Samus, Wolf, Falcon, Luigi, ROB, Little Mac, Inkling, Daisy, Peach, Mewtwo, Lucario, Pikachu, Pichu, Pokemon Trainer, Zero Suit Samus, and K Rool. No need to balance the game? They literally just released a balance patch. Expect more in the future. I guess in the hands of a master even the weakest character can be strong. It just depends on your skills. I have no complaints about Zelda, but I would not mind her getting buffed. I already beat people online pretty quickly with her, but there's no harm in buffing her. JUST DON'T NERF HER. EVER. @Vapeguy I didn't justify anything. I explained why society at large won't move on from it. This attitude that understanding why society still uses something as an insult is somehow an active justification of that use needs to disappear. Knowing about something and being realistic about it isn't the same thing as approving of it.